A contemporary design ceiling pendant with a decoratively shaped amber glass shade hung on a black suspension with braided flex. The cable can be shortened at the point of installation allowing for use in rooms with lower ceilings, this would be great for over table or kitchen island lighting. 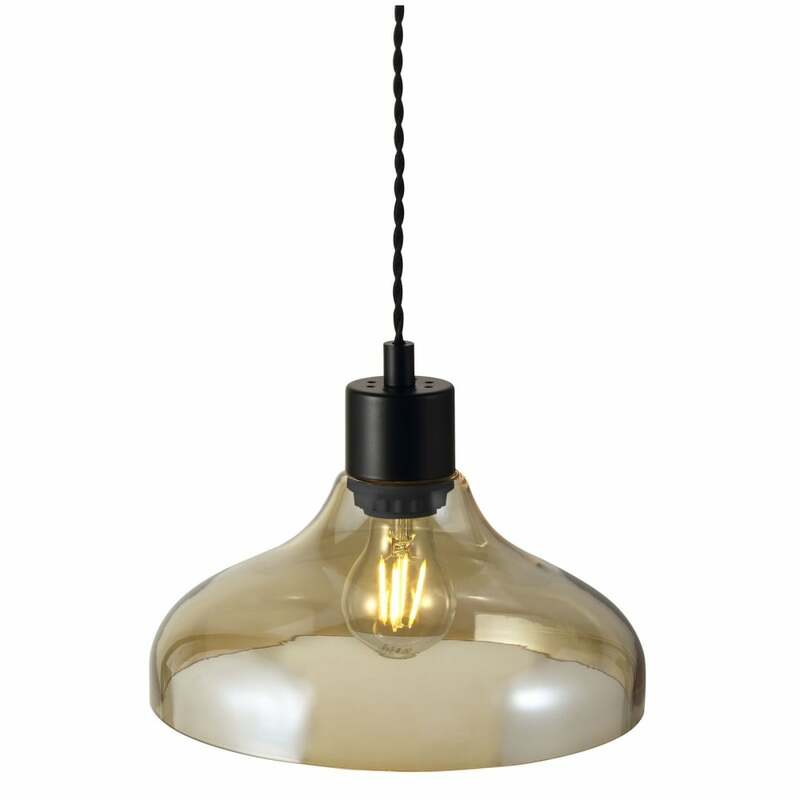 This light is best teamed with a decorative filament style bulb due to the transparent glass shade exposing the bulb.